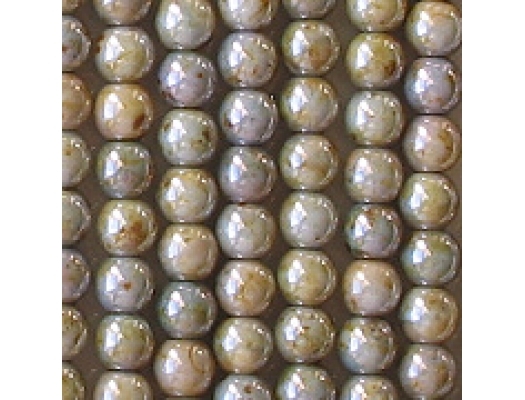 Opaque light green with a mottled brown luster coating; some beads have mottled purple, blue and aqua areas. 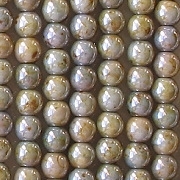 In low light, the beads look light brown. 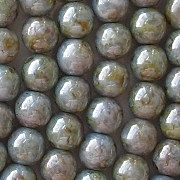 I haven't noticed any defects, although the beads are not all perfectly round (but round enough to look round to the eyes). 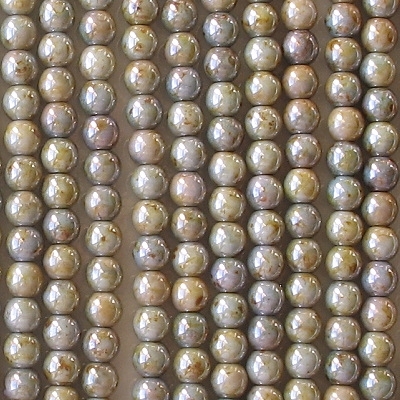 These beads have a great deal of character, and they are definitely one of my favorites.